Any moment now, the grand finals result night of X Factor Philippines will be airing live at Kapamilya ABS-CBN Network and held at the PAGCOR Grand Theater in Paranaque City. This will be a very close and tight fight between the three remaining grand finalist. Last night, the grand performance night were opened by the three grand finalists together with their special guest, as a comeback Philippine Nightingale, Ms. Lani Misalucha, she returned to the country from Hawaii last Friday. The 3 grand finalist showed to the world yesterday why they deserve to be named as the very first X Factor Philippines Grand Winner. 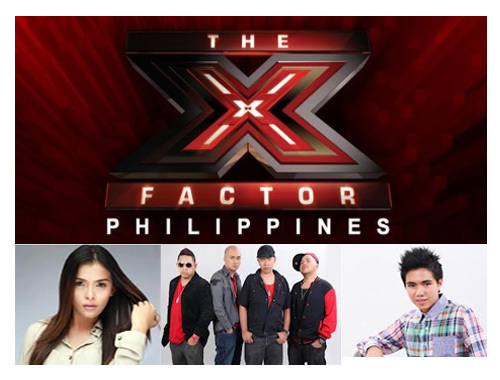 Who do you think will be the first Grand Winner of X Factor Philippines? You can still cast your vote through online and text voting for any minute now, KC Concepcion will close your chance to vote, please refer to this link on how to vote your favorite grand finalist. Comments or suggestions about "X Factor Philippines Grand Finals Winner" is important to us, you may share it by using the comment box below.